Once during your turn, when you put Moltres from your hand onto your Bench, you may flip a coin. 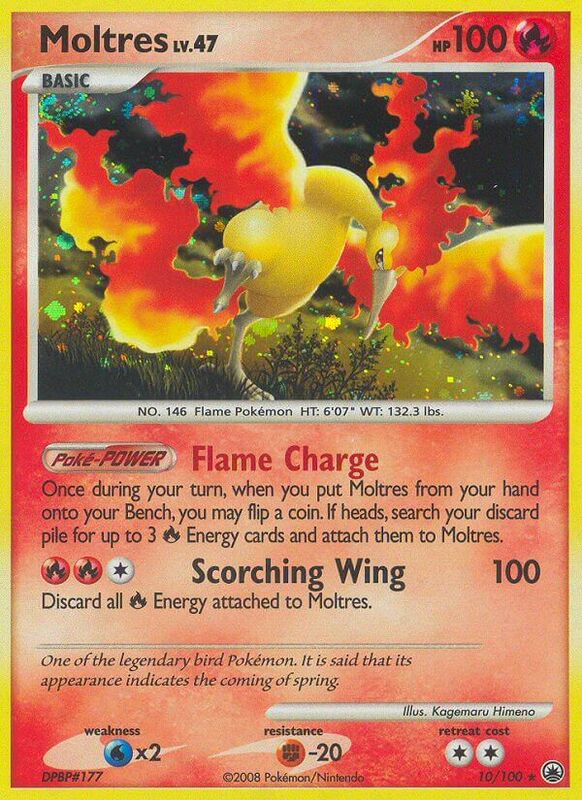 If heads, search your discard pile for up to 3 [R] Energy cards and attach them to Moltres. Discard all [R] Energy attached to Moltres. Don’t know why this is rated so low; this plus Magnezone or Shaymin would have been quite – oh wait, SP existed.